On Thursday, January 8th, in a chilly Inverness wind, Allan Garraway’s funeral was attended by more than 50 people. Mourners included friends and colleagues from all aspects of his life, including his BR days, the Strathspey Railway, his local rowing club, the Gresley Society and 12 representatives from the F&WHR. Allan Garraway. 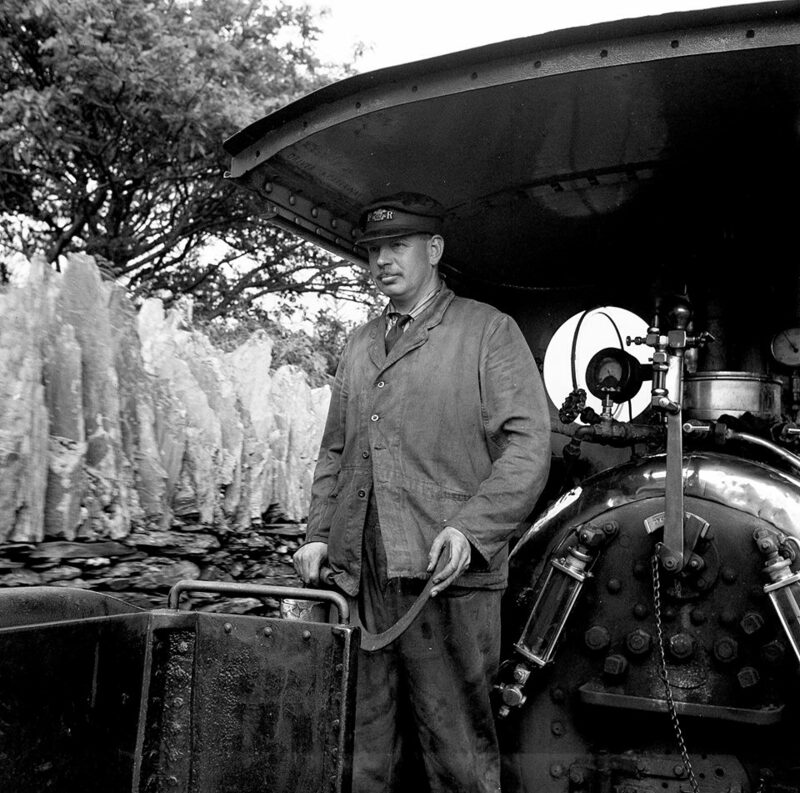 Remembered with admiration and respect by your many friends and the supporters of the Festiniog Railway. Your railway and our railway: your efforts made it all possible and have given purpose and fulfilment to so many. Diolch yn fawr. It is planned that a memorial service will be held at the Ffestiniog Railway on the weekend of the FRS AGM / 150 years event at the beginning of May. It is hoped that the many who wish to remember Allan will be able to attend the service which is likely to be held during the morning of Sunday May 3rd. More details will follow as plans take shape. In addition, the restoration of Welsh Pony is to be dedicated to Allan Garraway. He had long wished to see the locomotive completed and coined the phrase ‘unfinished business’ in respect of the loco. An excerpt from a letter from Allan to current GM Paul Lewin is reproduced below. A cheque accompanying the letter started the restoration fund in 2011. I would certainly like to give my support to any scheme to restore Welsh Pony. It was the only large England and I felt it was much better than the small Englands like Prince and Palmerston. I was always afraid that they would try to restore Princess; it was only a small England with all their faults. From all I heard from Tom Davies (and his brother Evan) Pony was so much better and a mainline engine, the small ones were for shunting. I will make a small donation to start things going, I wish it was more but you know how our pension is! She should be in FR green like Linda will be, as I understand your letter. I doubt that I could get to Port again and certainly by the time you get the Pony going, unless someone could lay on a special train! I shall look forward to developments.